This Sunday, July 31, 2016 from 1:00-3:00pm, Geri Reilly Real Estate is hosting an Open House! Join us at 119 Park Road in South Burlington and 17 Lida Drive in Essex. Stop by to say "hi" and take a look around! 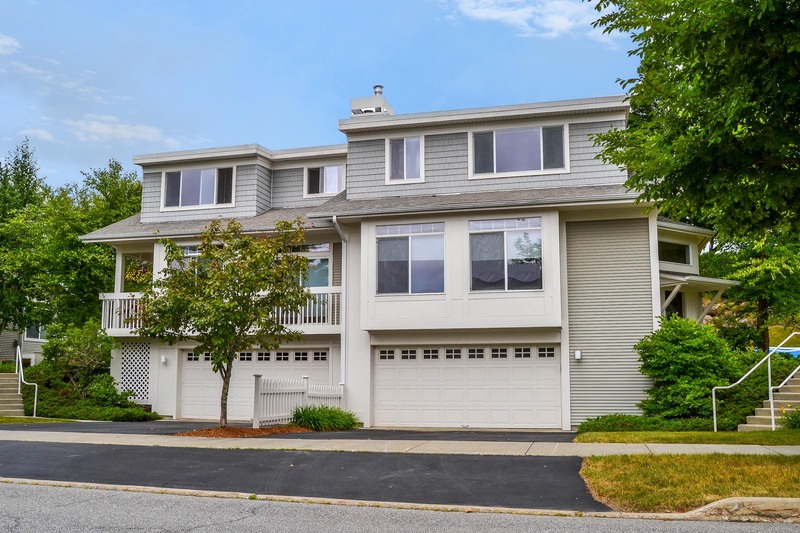 Beautiful & sunny Vermont National 3BR/2.5BA condo, living room with gas fireplace surrounded by built ins, opens to formal dining room, chef’s kitchen w/ breakfast bar overlooks family room. Beautiful cherry floors throughout. Private master suite w/ mountain views, plus private BA & walk –in closet. Finished lower level. Vermont National golf course and bike path at your fingertips. Sun-filled 4BR/3BA contemporary colonial in popular Lang Farm neighborhood. Grand 2 story foyer, living room opens to dining room with hardwood floor, spacious eat-in kitchen with breakfast bar, stunning 2 story great room with woodburning fireplace, master bedroom with private master bath with Jacuzzi tub, plus finished lower level. Expanded back deck overlooks tree-lined yard. Considering moving to Burlington? Here is a small list of some of the best things Burlington and Vermont have to offer. Vermont has some of the biggest and best mountain resorts on the east coast. With so many different mountains to choose from, such as Stowe, Sugarbush, Jay Peak, Bolton, and Smuggler’s Notch, Vermont has become a haven for Eastern skiers and snowboarders alike. Also enjoy cross-country skiing, snow shoeing, ice fishing, and snowmobiling. Once all of the snow melts and the mud dries. Vermont can finally live up to its “Green Mountain State” name. The mountain vegetation grows thick with wildflowers and a blanket of greenery. Take a hike in early spring to avoid the humid summer months. Vermont summers are like no other. There are so many fun activities and summer events within 40 minutes of Burlington, you could lose your mind trying to pick the perfect one. From biking and hiking to fishing and sailing, there is something for everyone. Lake Champlain, the 13th largest lake in the United States measuring a whopping 490 square miles, has so much to offer. Relax at one of the many waterfront restaurants, grab a drink and enjoy the sunset. Take a dinner cruise on ‘The Spirit of Ethan Allen’. Beat the heat and take a dip at one of Burlington’s many waterfront parks and lakeside beaches. The Church Street Marketplace, Burlington’s largest and busiest outdoor shopping area, has endless places to shop, street performers, some of the city’s historic architecture, and famous eateries and bars. At night, the marketplace is beautifully lit up with lights on all of the trees from top to bottom. Come during the winter months to see the oversized Christmas tree at the top of Church Street. Since 1980, Burlington has been home to a year round, summer (outdoor) and winter (indoor), Farmer’s Market with over 90 stands. Hosted every weekend, people come in droves to City Hall Park (summer) and Memorial Auditorium (winter) to sample and buy local produce, art, and flowers and to listen to live music. Burlington is widely considered the food hub of Vermont. With so many amazing restaurants, bars, breweries, and vineyards, Burlington has your cravings covered. Stop at Church Street Tavern or Ken’s Pizza for a quick bite or fine-dine at Hen of the Wood for a farm-to-table feast. Whatever your reason to move to Vermont, you will find it hard to be bored with everything that this town has to offer. Fun for the whole family! Discover what’s happening in the Burlington area for the rest of Summer 2016! Enjoy more than 90 stands with seasonal flowers, produce, art, prepared foods, and live music. Shelburne Farmer’s Market offers local produce, arts and crafts, prepared foods, live music, and activities for the whole family. Vermont is quickly being considered one of the top craft beer destinations in the world. Come taste the best beers from around Vermont and the Nation at Vermont’s 24th Annual Brewers Festival! Flyin' Ryan Foundation and The Fellowship of the Wheel Present the 3rd Annual Flyin’ Ryan Outdoor Festival! Join in the fun with bike demos and group rides, slip-n-slide, silent auction, pig roast and more. Vermont has the highest number of Cheesemakers per capita! Join in this year’s 8th Annual Vermont Cheesemaker Festival. Taste great local cheeses, foods, wines, beers and spirits, and get a chance to meet the artisans who create them. Experience the past and present of Lake Champlain Maritime while enjoying music and hands-on exhibits along the Waterfront. Also featuring classic boat, long boat, canoe, kayak and Dragon boat demos. Bring the whole family! Get the best deals of the summer along beautiful Church St. Marketplace. Merchants will be setting up in front and inside of their stores. Many vendors extend their great deals through the entire weekend! Blue Cross and Blue Shield of Vermont presents the 2016 Lake Champlain Dragon Boat Festival! Join over 1,600 Vermonters in 41 foot boats paddling for fitness, fun, and fundraising! Vermont Air Show featuring the U.S. Airforce Thunder Bolts! Burlington’s Waterfront Park and Battery Park are the two event locations that will have souvenirs, food, and restrooms. Other excellent viewing locations include Oak Ledge Park and North Beach. The 8th Annual Lake Champlain Chamber Music Festival, The Creative Journey. In this festival they will compare the works of the early greats including Mozart, Mendelssohn, Schumann, Brahms, and Shostakovich and explore how their works have evolved. Location: Champlain valley Fairgrounds, Essex Jct. Opening on Friday at 3:00 PM this year for the first time, with half-price admission and ride bracelets all day! Bring a car-load on Wednesday, August 31st and receive parking and bracelets for all for only $70!